Choosing a childcare center for your child is a big and exciting step. It can also be a daunting one for a lot of parents as they leave their child for the first time. Whether you’re looking for full-time or part-time care it’s important to start your search early as most daycares have limited space and a waiting list. Make sure you give yourself enough time to make this decision. Here are a few pointers to look out and to guide you in your search. Some points in this article may be specific to the Netherlands but you may still find the equivalent information in your country. Make sure you schedule an appointment in advance so you can get a chance to talk to the daycare location director and see the place first hand. Many daycares may prefer to schedule parent tours at a “quiet” time such as mealtime or when one group is napping so the teacher can talk to the parent more freely. Make a mental note of that and maybe come back again during a more active time such as outdoor or free-play time to see how the child minders handle children in an active situation. Also feel comfortable to stay as long as you wish during your tour even after the designated time to observe how the teachers interact with the children till you get all the information you need. Does the daycare feel like a “good fit” for you and your child? What is the atmosphere like? Is it calm and warm? Is it active and loud? What do you think would suit you and your child’s temperament more? Before you look any further check out if the daycare is accredited and approved. Every daycare is issued a report stating how their evaluation went. This should be posted on their website for you to view freely and if not you can always ask for their latest evaluation report. Don’t be shy to ask what the teacher qualifications are. Child minders should have a background in childcare to work with young children, does this daycare meet those qualifications? In the group your child is likely to join, ask how long has the teacher been working with children and at the center? Is he/she a full-time or part-time employee? Who else will be involved in directly looking after your child. Go ahead and spend a few minutes in their classroom to chat and get a feel for the teachers that will directly be involved with your child. What educational philosophy does the daycare follow? Does the daycare follow a certain educational philosophy? If so, read up on it before your visit so you know what to look for while you’re there. Have the teachers received any training specific to that educational philosophy? Is there time for reading, puzzles, free play etc.? Think about if that way of learning suits you and your child. You can read up about educational philosophies for young children here. Bottom line is; will your child be getting the time and opportunity to experience age-appropriate play during his day? Is there a schedule they follow for play, rest and mealtime? Will your child get enough outdoor or rest time? What kind of meals do they serve? Is there time for free play and structured play? What kind of activities does the teacher initiate with them? How do they handle discipline and misbehavior? What happens if your child hits another child or refuses to have lunch? How do they handle this and communicate these situations to parents? Discuss this openly and decide if their techniques match your parenting views and values. What is the daycare policy on communicating with parents? Will you get a chance to speak briefly with your child’s child minder during pickup? Are parent meetings scheduled regularly for updates? In case of a minor accident or situation with your child do they inform you immediately or at the end of the day? When can you meet with your child’s teacher if you want to discuss something? Daycares should have an open door policy; can you drop in at any time to visit and observe your child in the environment? A provider that doesn’t have an open-door policy is a red-flag. A confident and good provider will not only let you in at any time but will also invite you to be part of the daycare events and activities. Are any of the teachers trained in first aid for young children? What is the procedure in case of an emergency? Does the daycare have a protocol to follow? What if you want someone else in the family to pick up your child? Ask friends or family who go to the daycare what they think of it. Be precise in finding out what exactly they like and dislike. It’s also good to get a chance to talk to parents who have walked out of the daycare center. Walking out might mean that it just wasn’t a good fit not that there were negative reviews so it’s always important to get information first-hand. If what you’re hearing and seeing looks good on paper and checks all the boxes but you still don’t feel good, trust your instincts. They are telling you something isn’t right here for you and your child. You need to feel comfortable and secure wherever you leave your child and if you are anxious every day during drop-off your child will pick up on that as well. 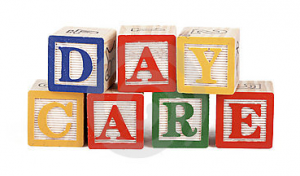 I hope these guidelines and tips will help you choose an appropriate daycare for your child. If the children at the centre or at the home are happy, outgoing, inquisitive and inviting then you have a winner. It means that the children are well looked after, well attended to and have their needs met. 2. If it’s a centre does the owner send their child to the centre? If an owner send their children to the centre as we do, then that means the owner is willing to pour money into the centre to make it a happy place for the children there. In our case our preschool makes next to no money as we have very high teacher/children ratios and we constantly pump new resources into the centre. An owner who runs a centre for profit will absolutely not do this. Good luck to everyone out there looking for childcare. It’s such an important time for any child’s life!